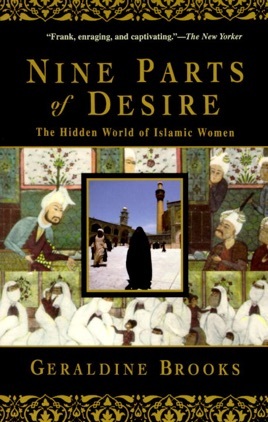 ``Almighty God created sexual desires in ten parts; then he gave nine parts to women and one to men,'' explained Ali, founder of Islam's Shiite branch. In this powerful and enlightening report, Muslim women emerge from under their black chadors-often hiding jeans or high-fashion clothing-as a horrifyingly oppressed class slowly liberating themselves from the worst practices but still adhering to the basic values of Islam. Drawing on six years as the Wall Street Journal's Middle East reporter, Brooks presents stunning vignettes of women she has met-the American-born Queen Noor of Jordan, Hamas supporters in Gaza, Ayatollah Khomeini's daughter, Egyptian belly dancers, Saudi housewives, Iranian athletes, secretaries, divorcees, foreigners married to Muslim husbands, activists. 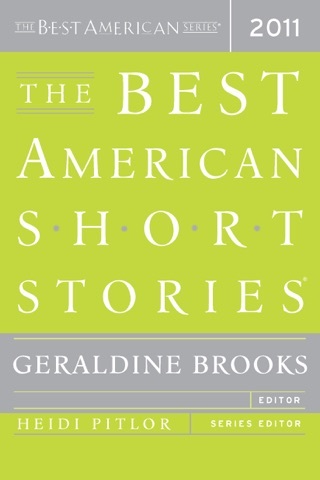 Brooks carefully distinguishes mysogyny and oppressive cultural traditions from what she considers the true teachings of the Koran and the liberating philosophies of Muhammad. In some Muslim countries, external events and a small but burgeoning women's movement have somewhat liberalized the marital contract and opened up educational opportunities, some jobs and political offices to women, but genital mutilation continues, even for Muslim women in the U.S. Brooks hopes the U.S. will consider gender persecution a reason to offer asylum. Literary Guild selection; author tour. Remarkable in moving back and forth from the time of Mohammed to that of Khomeni, it is a personal and intimate window from which i was able to understand Muslim women. GB depicts with an immediacy of her own experience the pressures and the history that Muslim women carry in making decisions about the extent to which Muslim law dictates their lives. It makes one really aware of the complex societies these women live in, how they navigate the paths of individual identity , and the consequences they face, some very bravely, depending on their decisions. This book is an important picture that we must imprint on our understanding of a society of women, which by its very nature is incredibly private.